PIN ME TO YOUR FAVORITE BOARD! Free printable coloring pages are always great to come across. I’d always see lots of pages on Pinterest and thought to create some original ones for Teal Notes. These pages are great to de-stress when you feel like doing some coloring. 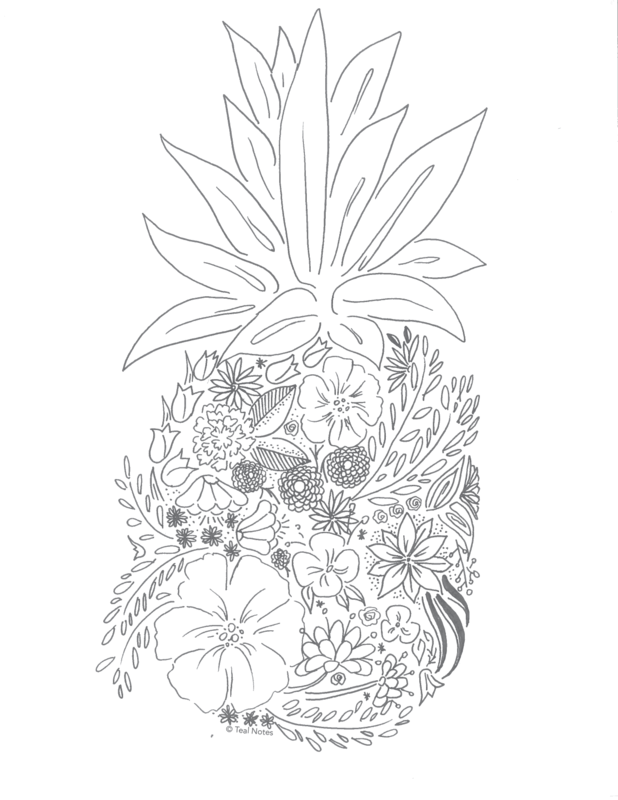 Some of them are simpler, like the floral pineapple printable coloring page (probably my favorite one). And then others are more complex, like the Mandala printable page (which is kind of like a Zentangle design). You can download a folder of all 7 pages for free below. NOTE: These pages are for personal use only and not to be modified or sold in any way. If you’d like to feature a page or two on your own site, you’re more than welcome to! Just please make sure you include a link back to the blog. Now, enjoy! It’s time to print some out and start filling them in with your favorite colors! 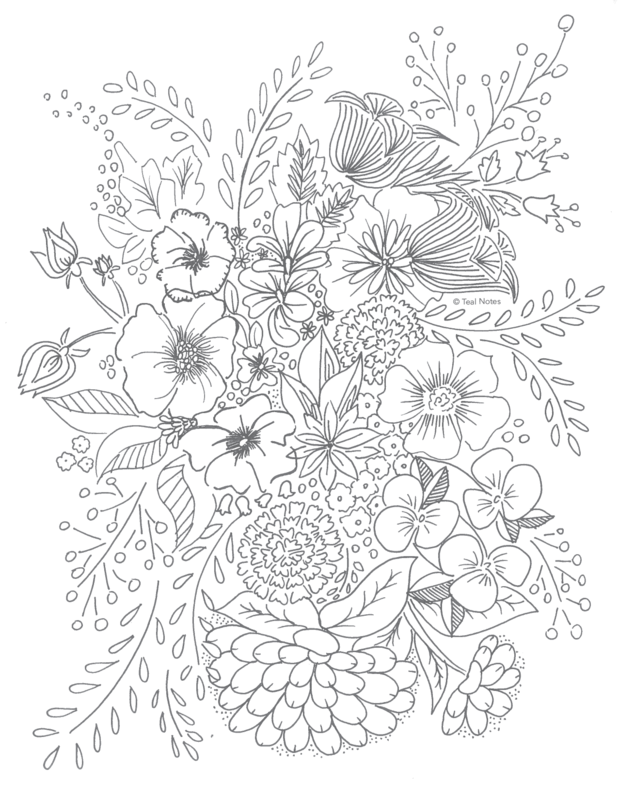 This pretty flower bouquet is great for a quick coloring break. It’s not too convoluted to where you get overwhelmed, but pretty enough to make you want to finish the page in one sitting! Make sure you download the free printable page below! 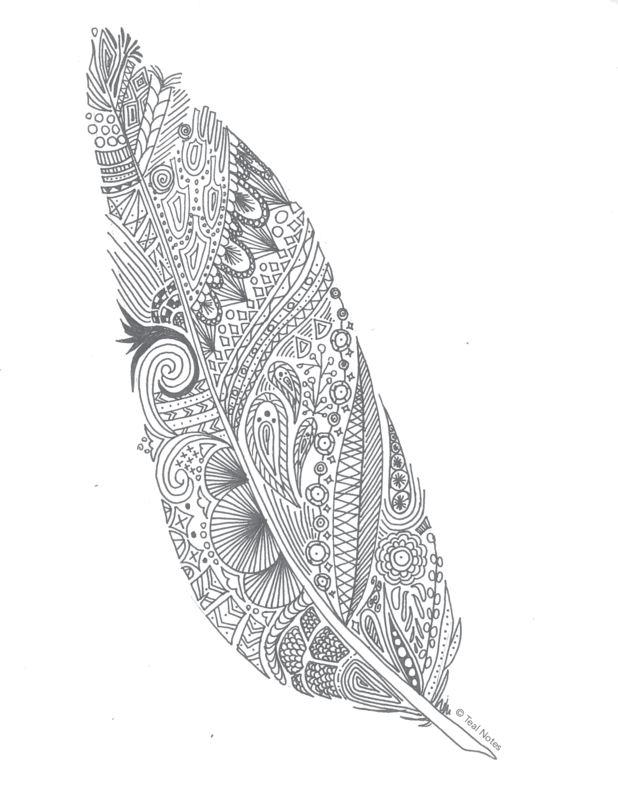 There are lots of intricate feather coloring pages out there, so I thought I’d try my hand at creating my own! I’m pretty proud of how it turned out. It’ll look even prettier once colored in. You could even color it in and frame it for some pretty wall decor! Download the free coloring page below! Sometimes you just want some pretty hearts to color in with your favorite colors. This page is perfect for that. It’s not too challenging yet not too easy! 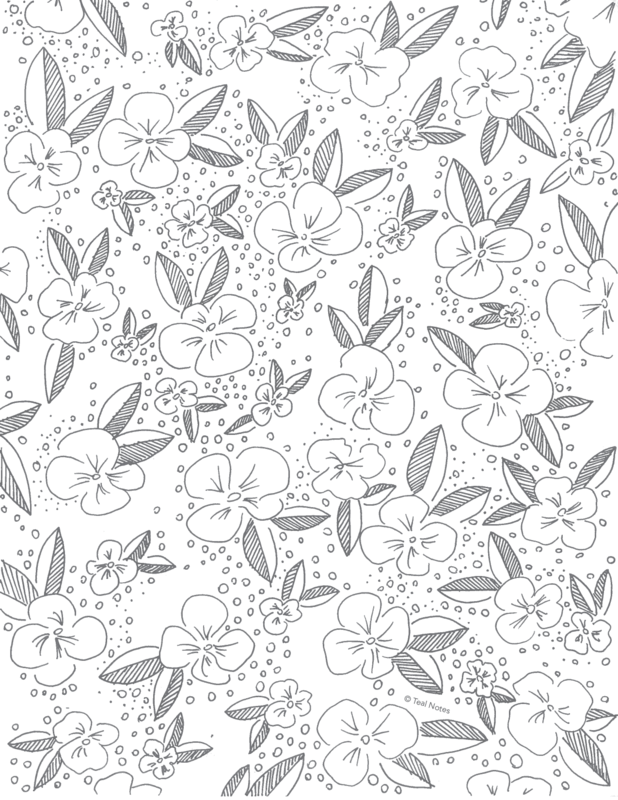 This printable coloring page is great for people who love patterns. You can always combine a set of your top five colors to fill in each flower. It would also look amazing with some pastel colors. This one is probably one of if not THE favorite printable coloring page. I love how the array of flowers turned out! There is no telling what type of color combinations you can make with this printable! I found this reflection idea for a printable page to be pretty nifty! 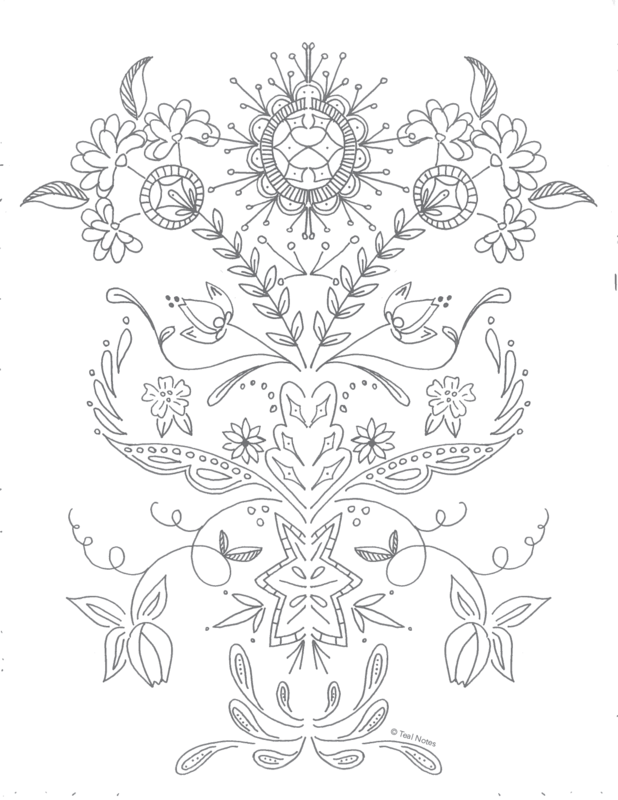 It can be a relaxing coloring page you can add to your collection! Looking for some easy rainbows to color in? Look no further than this simple rainbow coloring page. Who doesn’t love Mandalas? Whether its to color them or create with henna! 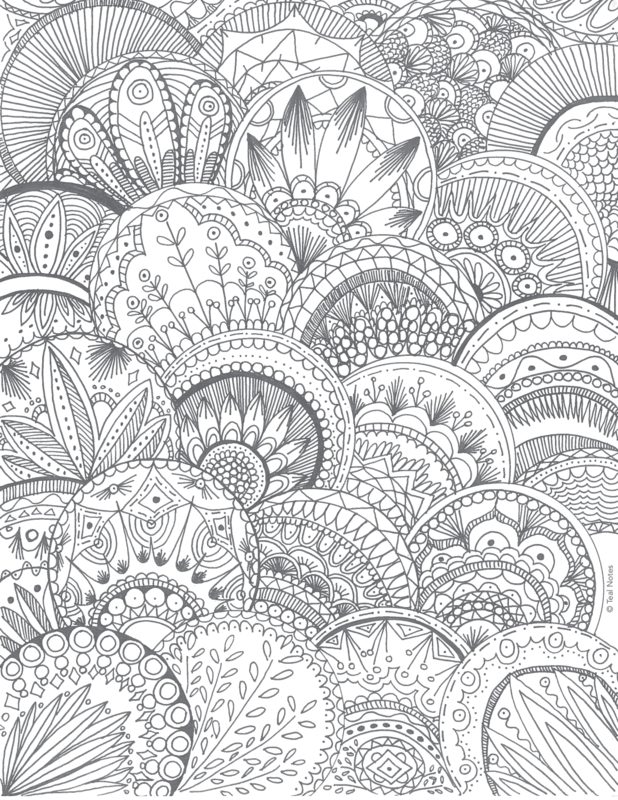 This free mandala coloring page is more for an advanced coloring level. They’re great if you don’t mind spending lots of time coloring in small details. Make sure you download the free printable page below! Snowflakes are always tons of fun to colors. Whether you want to color them a few different hues of blue or you want to make them multicolored, they make an awesome coloring page! And finally this is a tangly world of flowers you can just get lost in (and color in the process). It took a while to get it done but it was so rewarding once it came together! 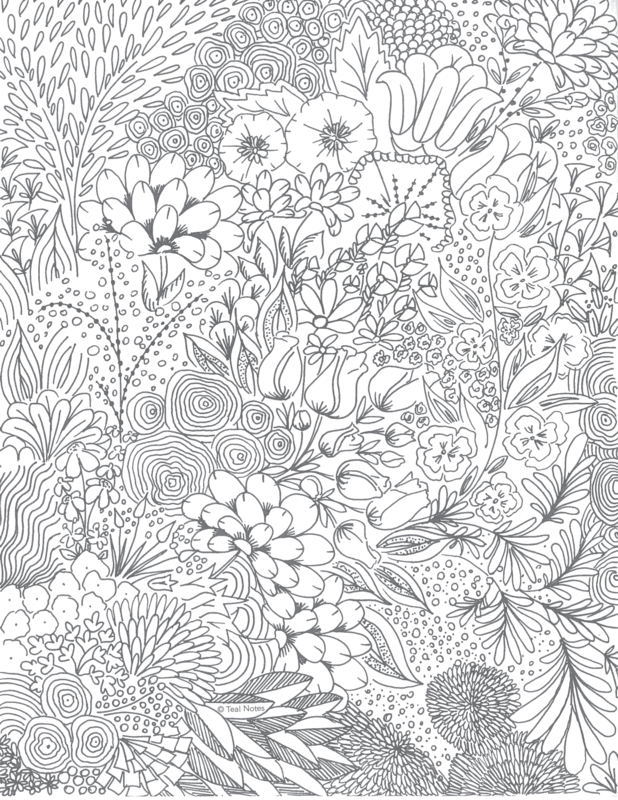 It’s a beautiful coloring page for anyone that loves to color! Free Printable Coloring Pages Are Great! You can also visit the shop for more beautiful printables to help you organize your life at home! 53 Clever Washi Tape Ideas To Decorate Your Whole Life In Bright Colors!